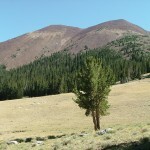 The 12,020 -foot Haystack Peak (in the middle) is the second tallest peak in the Deep Creek Range. Howard Egan lived for years in the shadow of this range out in Deep Creek Valley. The one individual who knew the Pony Express Trail in western Utah and Nevada better than anyone besides the Indians was Maj. Howard Egan. Egan was a staunch Mormon, hard worker, entrepreneur, explorer, trailblazer and all- around, tough-as-nails pioneer. His life’s story, and incredible experiences crossing the plains to Utah, exploring the lonely, uncharted deserts and his exploits with the Indians, are all captured in the book “Pioneering the West” first published in 1917. Egan and his sons had a knack for describing things in a way that is entertaining, yet informative, for the reader. This amazing work provides a detailed view into “how it was” in those exciting days in Tooele County’s West Desert. Back in the time of the Pony Express Trail, Egan was superintendent of the mail line and express operations from Salt Lake City to Ruby Valley, Nevada. J. Raman Drake wrote his Masters thesis on Egan for Brigham Young University many years ago. That brilliant work, and Egan’s book “Pioneering the West,” are the sources for the following information. Egan was orphaned at a young age, but as he grew older, became successful in business through his resourcefulness and drive. He was a rope maker in Salem, Massachusetts and then after converting to Mormonism, ran a successful business in Nauvoo, Illinois. In 1846 he served as special messenger for the Mormon Battalion. Then in 1847, Egan was in charge of the original 144 pioneers who entered Salt Lake Valley. On this trip he served as special nurse to Brigham Young while the prophet was ill.
Egan is responsible for exploring and mapping the mail route from Salt Lake City to Sacramento, which was well known to him by 1855, long before the more famous Simpson Expedition took virtually the same route. He knew every stream, waterhole and creek along the route. He was a tireless worker and professional mail carrier, who would stop at nothing to get the mail through. 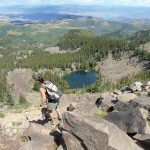 His standard procedure was to rest no longer than 4 out of every 24 hours while on the trail. He once boasted that he could make the trip to Sacramento from Salt Lake City in 10 days. This was a distance of over 500 miles and many scoffed at this claim. On Sept. 19, 1855, he left Salt Lake City with some pacific express company packages for Sacramento. Eleven days later, a tired and tattered Egan arrived at the express company offices in Sacramento. The fact that he didn’t make good on his boast was lost in the sheer astonishment that he had made the distance on a mule in such a short time. Due to all of Egan’s knowledge of the trail, W. G. Chorpenning made him a partner in his overland mail contract, a post which he held throughout the later half of the 1850s. 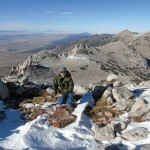 Egan established Rush Valley, Deep Creek and Ruby Valley stations along his route and marked locations that he deemed suitable for 56 towns in the Great Basin. Drake continued that Howard then hunted Monroe down like a mongrel dog and before he killed him, he said to Monroe, “You have taken away my piece of mind forever.” Egan then turned himself in to the authorities, but was acquitted of the charge of murdering Monroe. 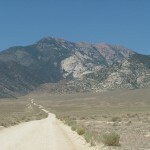 By the time the Pony Express Trail came about, its founders decided to use the central route across the desert that Egan had explored several years earlier. Simpson carried out his expedition along much of the same route and generated a detailed map. Egan then carried the first east bound messages of the Pony Express from Rush Valley station, 75 miles to Salt Lake City in a driving sleet storm on April 7, 1860. Egan was a true frontiersman and had a hand in several interests such as being a cattle buyer for Livingston and Kincaid, selling beef to miners, working his own mining claims in the Deep Creek Mountains, and even surveying and founding his own town at Deep Creek in the Ibapah Valley about 70 miles south of Wendover. Ibapah means “Deep Down Water” in the native language of the Goshutes. Egan liked the name and the valley has been known as Deep Creek ever since. After the Pony Express, on July 1, 1862 Egan was appointed superintendent of the Overland Mail from Salt Lake City to Carson City, Nevada. He had numerous close calls and near death encounters with the Indians during this time. Even though he nearly lost his life at the hands of the Indians on several occasions, he spoke their language fluently and was welcome in most of their camps. 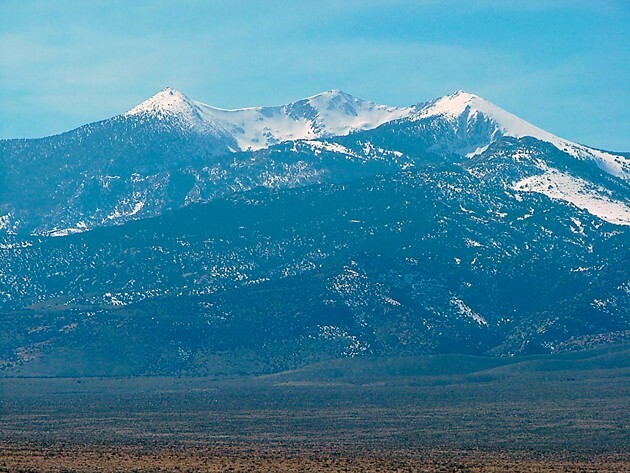 Egan spent much time with the Goshute Indians in the West Desert and was interested in their ways and customs. In “Pioneering the West,” Egan describes Indian ways of life from trapping rats, rabbits, and antelope for food, to making bread from Mormon Crickets, and finding water in the middle of sand dunes. As we continue our exploration of the Pony Express Trail, we will revisit some of these tales. If we don’t, the dirt roads in the desert are just that — dirt tracks to nowhere. It is important to remember the interesting people, their lifestyles and customs who were here before white man. Egan always showed the Indians kindness and provided them with food and clothing whenever he could. He served as superintendent of the Overland Stage until May 10, 1869, which is a significant date because it is on that day the Union Pacific and Central Pacific railroads met at Promontory and the Golden Spike was driven, uniting the nation from coast-to-coast by rail. The Overland Stage became obsolete at the same instance, thus ending a wild and exciting chapter in Tooele County’s history. Egan then turned to mining more seriously. His principal mine was quite successful and he had an offer of $50,000 to sell, which he wanted to do but his partners decided to wait for a better offer. The offer never came and Egan was left with nothing to show, once again, for all of his hard labor. He then returned to Salt Lake City where he was a partner in a tannery and lived quietly for a time with his family. Upon his return to Salt Lake, Egan was once again called on to act as Brigham Young’s personal nurse. After the prophet’s death, Egan served as special guard at Brigham Young’s grave and a guard house was built where Egan could look down upon the grave from his window at night. After years of excitement and faithful service that could have filled several lifetimes, Egan, at 63 years old, passed away in Salt Lake City in 1878. He is buried in the Salt Lake City Cemetery. Until recently, “Pioneering the West” was hard to find, but I have included a link (https://archive.org/details/pioneeringwest1800began) where it can be downloaded in PDF form for free. Hopefully, by sharing the story of Egan and the link to his book, Tooele County residents can come to know and love this outstanding pioneer and trailblazer of the American West. It is good information to know as you follow and explore the Pony Express Trail he blazed long ago through our county.